The Windows operating system saves the information that you enter into the run box. Run box? 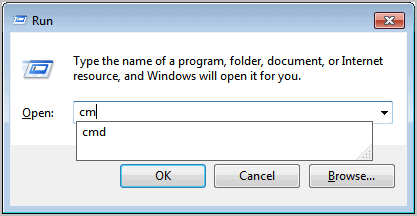 The handy program starter that you can launch with the keyboard shortcut Windows-r. The log is limited to 26 entries, at which point the first entry that got saved into the list is removed from it, which is called first in first out in computing. Windows stores the information in the Registry, which means that there are manual and automatic ways of manipulating the data. You could run a program like CCleaner, AppCleaner or SlimCleaner to remove the entries automatically, or open the Windows Registry Editor to edit single entries or all manually. That is, if you know where Windows saves the Run MRU information. MRU stands for Most Recently Used. Windows Run History Editor is a free portable editor that allows you to edit, add or remove Run MRU entries. All existing commands are displayed automatically on program start. Each command is listed in its own editable field. To edit an existing command, click into the field and use the keyboard to change it. You can also remove commands by clearing their fields, or clear all data automatically with a click on the clear all data button. A click on Save writes the changes to the Windows Registry, so that they become available immediately on the system. There is also a reload button to load the active settings again in case you made an editing mistake and want to load the current settings again without saving the edits. The program basically acts as a frontend for the Registry Editor which is not that comfortable to edit. Windows Run History Editor is a free program that is compatible with 32-bit and 64-bit editions of the Windows operating system. It requires the Microsoft .NET Framework to be installed on the system. The developer does not mention which version on the project homepage. The program can be downloaded from Sourceforge. I downloaded and used Windows Run HIstory Editor yesterday on my machine (Windows 7, 64 bit). After I ran the software and deleted several entries from my run history I found that the remaining run history was completely messed up. I’m really disappointed with this software and would recommend not using it. Hi, I also tried this software and on using this it messed up the rest of the run history. Highly suggest DO NOT USE this software.